Disney are planning some stand-alone 'Star Wars' movies. The studio are currently working on the seventh, eighth and ninth installments of the popular sci-fi series, but have revealed writers Simon Kinberg and Lawrence Kasdan are also working on additional films that won't interfere with the on-going storyline. Disney chief Bob Iger told CNBC: "We plan to make 'Star Wars' 7, 8 and 9 over roughly a six-year period of time starting in 2015. "But there are going to be a few other films released in that period of time, too." 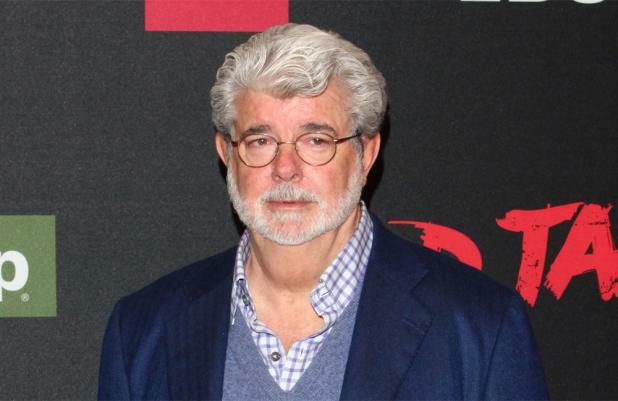 Last year, Disney splashed out $4 billion to but George Lucas' Lucasfilm and Bob admitted the price tag was based on the value of the main three movies and resulting product sales, not the potential money to be made from spin-offs. He said: "When we were exploring very seriously with George [the acquisition of Lucasfilm], the idea of producing a few standalone films that were not part of the overall saga came up. Those possibilities are becoming more real." 'Star Wars Episode VII' is scheduled for release in 2015 and Disney are prioritising the film above all else. Bob added: "The priority of Disney and Lucasfilm is to create a great film for 2015 and do everything we can across our businesses to help the success of that film."